Please Stand By! The Great War of 2077 is so long past there`s no place in your memory for its events, but the barren landscape before you has its own story to tell. Immaculate homes which once housed seemingly perfect families and busied Mr. Handys have been transformed into empty shells. Humans wander the wasteland among mutated creatures and rogue robots, in search of little more than survival. You are now among them. Sure, this world might be a mere shadow of its former glory, but plenty of adventure and mystery still await a brave traveler. 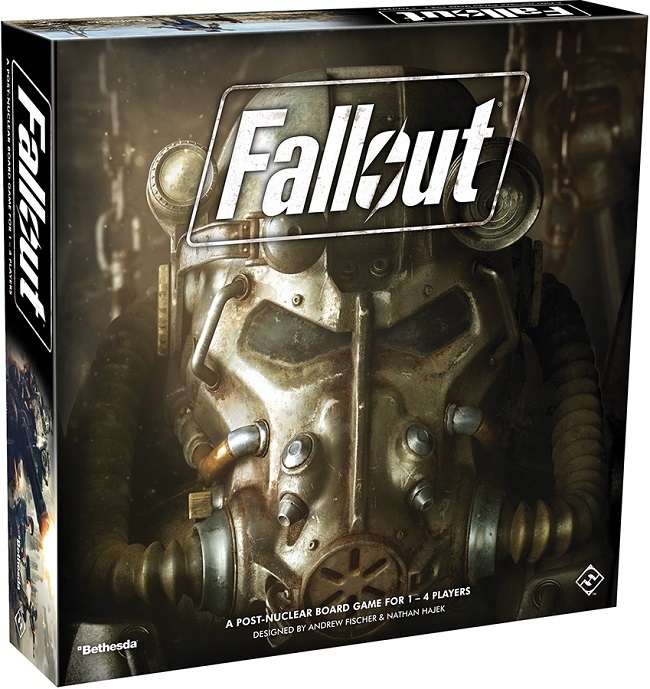 And your adventure has only just begun in Fallout, a post-nuclear adventure board game based on Bethesda`s blockbuster video game series! Welcome home!